5 Things You Didn’t Know About U.S. Army Foreign Military Sales - The Americans .US! Demand for American-made weapons has and will continue to be high, with the Defense Security Cooperation Agency reporting that the U.S. sold more than $33 billion worth of military goods and services last year alone. The U.S. Army consistently represents the majority of those sales among the various military departments and agencies within DOD, with last year’s total coming in at $16 billion worth of U.S. Army weapon systems, spare parts, training, maintenance and logistics services to our foreign partners and allies. In the aggregate, the U.S. Army has thousands of open FMS cases with more than 150 countries, with a total value exceeding $172 billion. To support these cases, the Army security assistance enterprise spans nearly two dozen agencies, offices and commands, employing over 3,000 civilian, military and contractor personnel. From the time of Thucydides and the Peloponnesian War over 2,500 years ago to the present, the transfer of arms between nations has been a key strategic component of both warfighting and international relations. It is not a stretch to claim that without the transfer of arms and advisers from France, the U.S. would likely not have defeated the British during the American Revolutionary War. From the founding of our nation, to the “Arsenal of Freedom” in World War I, the Lend-Lease program in World War II, the Truman Doctrine, and through our efforts today, intergovernmental security assistance has and will continue to tip the global balance of power and conflict in a significant way. Because U.S. weapon systems and training are in such high demand, the U.S. government can effectively use FMS as a tool for achieving foreign policy objectives. That’s why all DOD security assistance efforts (including FMS) are overseen by the U.S. Department of State. The transfer of arms between our government and those of our partners and allies strengthens ties between the two countries, promotes military interoperability, provides an incentive to partners and allies to achieve agreement on broader foreign policy issues, and gives us an opportunity to share American values through the enrollment of current and future foreign senior military leaders in our training and education programs. Electronics Mechanic Joseph Brungard makes an adjustment to a counterfire radar antenna transceiver group during the alignment process. Firefinders are used by the Army, Marines, National Guard, and many Foreign Military Sales (FMS) customers. 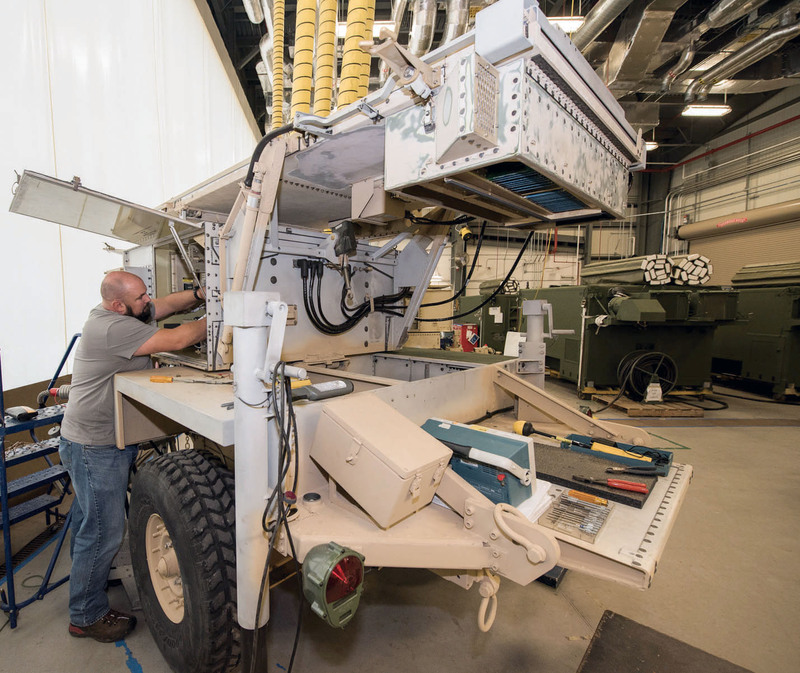 Tobyhanna employees are testing, inspecting and repairing the Army AN/TPQ-36 Firefinders identified as excess defense articles and made available to foreign countries. Brungard works in the C4ISR Directorate’s Air Defense/Counter Fire Systems Division. Many in the Army have heard the phrase “fight tonight.” It conjures images of reacting on a moment’s notice, anywhere in the world, to defend our interests and protect our partners and allies. While the U.S. Army is a ready and lethal force, it cannot be everywhere at once. That’s why having well-equipped and trained partners and allies is critical to global and regional security and our shared national interests. FMS promotes greater interoperability and enables our partners and allies to share the burden of defending our common interests. Partners and allies across the globe use U.S. equipment and training to defend their borders. They are the first line of defense. By using our defense systems, they are able to exponentially amplify U.S. Army efforts to shape and deter current and future battlefields and adversaries. And because we utilize a Total Package Approach—selling not only the weapon system but the training, parts, maintenance and logistics support to go with it—we ensure that partners have a credible military capability. Additionally, FMS is much more than a transaction. FMS furthers our relationship with partners and is often a tool to ensure U.S. access and strategic freedom of maneuver. Simply put, FMS allows us to project power and influence without having to be present in every corner of the globe simultaneously. A large sale to a foreign partner often can be the injection of cash and work that a production line needs to stay open long after the Army has stopped procuring an item, allowing the Army to retain talented workers, reduce acquisition costs and ensure continued operational support for major weapons platforms. 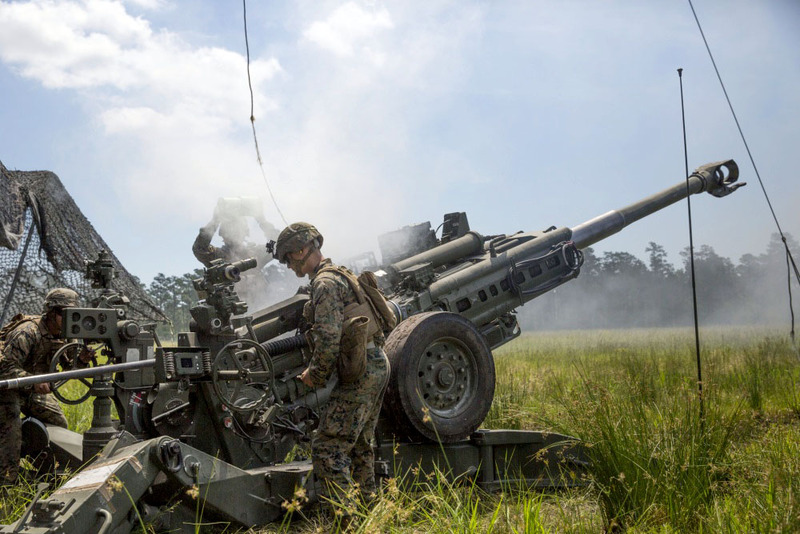 For example, the Watervilet Arsenal in New York recently received the single largest contract in its history, to produce M777A2 Howitzer systems to support an international sale with a foreign partner. According to the arsenal’s deputy commander, the order will singlehandedly allow the arsenal to fully retain its workforce until 2020 and will provide opportunities for its skilled workforce to exercise several critical skill areas. Without this sale, it is likely that some of that workforce would have been lost, and it would not easily be replaced. Perhaps the most surprising component of FMS is that it is conducted at no burden on the American taxpayer. On each FMS sale, the U.S. government typically charges an administrative surcharge as a percentage of the total sale price to fund the manpower and infrastructure that support the FMS program. Plus, if supplementary personnel are required to support specific cases, the foreign government customer will pay for that manpower in addition to the other elements of the entire package (e.g., systems, training, spares, maintenance, logistics, etc.). In this way, the Army security assistance enterprise is self-sufficient, scalable and requires virtually no taxpayer dollars to operate. It’s a win for taxpayers, the Army, industry and our foreign partners. 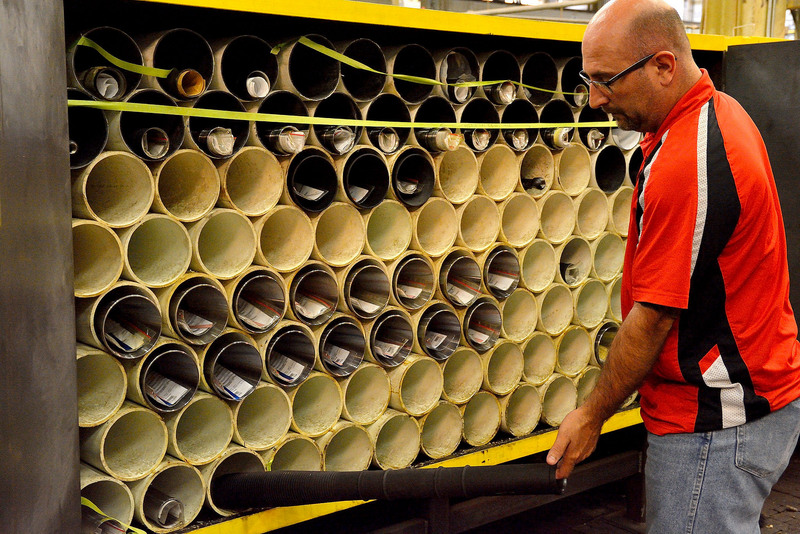 Watervliet Arsenal Machinist and Quality Control Inspector Steve Luther is getting a 60mm mortar tube ready for inspection in July 2017. Photo by John B. Snyder, Watervliet Arsenal. From the founding of our nation until today, FMS has played a crucial role in defending our national security interests, building coalitions and projecting power across the globe. With the recent elevation of the security cooperation workforce as a distinct and defined workforce within the Army (much like the Army Acquisition Workforce), and with ongoing efforts to increase responsiveness and shorten FMS procurement timelines, the Army’s FMS system will continue to be a force multiplier and tool of foreign policy for decades to come.